Combination of 18k white and yellow gold. Baguette cut diamonds and trillion cut emeralds on the bezel. 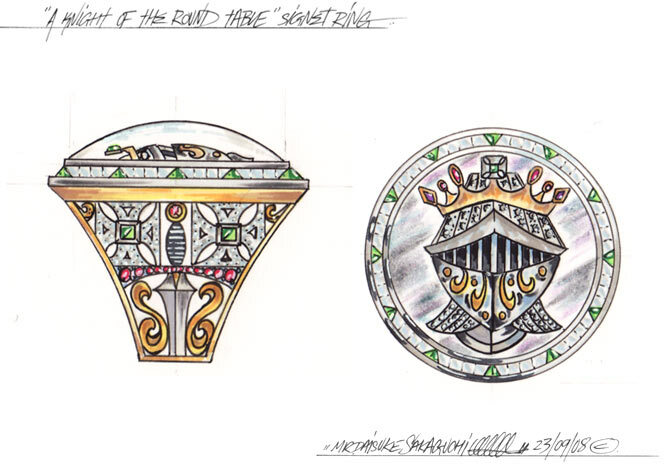 The knight's head set with rubies, diamonds and an emerald, topped with a domed sapphire glass top.